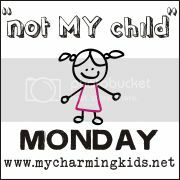 I could really call this NOT my family Monday. But there is NOT a button for that. I did NOT have anything to NOT me about this week. Well, I probably did, but I was so busy that I did NOT write it down and now I do NOT remember any of them. So you see, that selective memory thing is very useful for us moms once in a while, too. I do have quite a few little moments that I would like to record for when I need ammunition for my family some day. Of course, by the very idea that I am publishing it on the world wide web, it probably ceases to be very powerful because everyone and their grandmother has the opportunity to know about it so who would I threaten to tell? Well, OK so only 61 regular readers would really know about it, but hey the majority of my kids do NOT know how to count to 61 so that seems like a really big number to them. I am NOT rambling, in case you were wondering. What's that you say? You do NOT want to hear me go on anymore? OK. You've got it. Here it is. At the breakfast table my children were NOT taking dibs on who could write the "Zero" days of vacation on the wipe board. NOR did someone call dibs on "One" when zero was spoken for. And NO one would sink to calling dibs on the three just to make sure they were NOT one upped. I definitely do NOT have so many children that dibs were also called on "four", "five" and "six" days til vacation either. In case you were NOT counting there are NOT a mere twelve days to go. NEITHER do I have a million things to do yet. At the dinner table, where everything good does NOT happen in our house, I may have mentioned that Elisabeth was stung by a bee. After confirming that she was NOT suffering, the entire family did NOT start talking all at once recounting their history with bees. I did NOT try to reign in the chaos by saying that we would go around the table and let each person tell their bee story. NOR did I then allow each person to raise his hand to ask questions or comment on the story. Most of all Allen did NOT say it was like a blog with people posting and others commenting on the post. My life is NOT becoming a blog. So long as we are NOT on the topic of blogs, I was NOT talking to my dear husband at lunch by the pool when he asked me if I had any before pictures of the pool area. I did NOT tell him if he had read my blog this week he would have seen them along with the entire blog reading world. I can NOT be the only person who thinks that is hysterical! One morning recently, when the boys were dressing. Kaitlin, who is NOT in charge of putting away folded baskets of laundry, did NOT have every basket - of which we do NOT have ten- filled and sitting in her room NOT put away. Nathaniel and Aedan were NOT roaming around the house looking for Kaitlin or for clean boxer shorts. They did NOT care which they found first. Samuel, was NOT in the kitchen with me when they came to me and asked for KK or the underwear. When I called Kaitlin in to search the baskets and find some garments for her brothers, I am sure Sammy was NOT paying any attention. He surely did NOT look at me when she left the room and with a perfectly straight face say, "I wonder why Than and brother do NOT have any underwear on a rainy day?" As if it were perfectly acceptable to NOT have underwear on a clear day! While touring a museum recently, I did NOT hear one of my youngers ask one of the olders "What is that?" My older child would NEVER say, "Oh, that is a typewriter. That is how people wrote before they had computers." 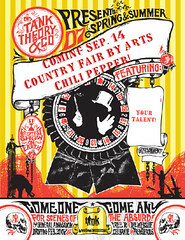 Don't forget to click on the button to read all about the country fair coming to Art's Chili Pepper September 14th! Sometimes I canNOT keep up with all the nots. LOL Too funny about your life becoming a blog & the type writer comment. Oh how I remember the typewriter and my mom still uses one. They will not get a computer. Silly people. My family thinks that our life is a blog too!!! I am constantly getting questions like...are you gonna take a pic for your blog, are you gonna blog about this..too funny b/c that is how I used to be and now it is how we all are! And that is funny about the boxers on a rainly day..there are many days that I wish I would see their reason behind their comments! Hope you have a relaxing day! Isn't that funny how everyday things suddenly become blog ideas for future posts. Even when we dropped off Caitlyn for Bible camp on Friday, I was sure to bring a camera so she could document her journey. Why? So I could blog about it or at least have some pictures for people to look at. Even church services become ideas for blog posts. If something stirs within my soul, I always have a paper and pen handy just to capture a few thoughts. I guess I am a bit blog obsessed but at least I am writing daily so I am becoming more disciplined in my writing. Here is hoping that you do NOT have a great day off and relax and enjoy yourself with your family. I do not put too much personal life on my blog. Worlds of people do and that is okay. It just that I have always been a private person, and too,k my life is not all that interesting. Happy you had time to visit me today. Thanks. Hello. If your encouraging comment was NOT posted this morning, I would NOT be able to trace you back. Just popping over to say HI and thank you also for the follow. 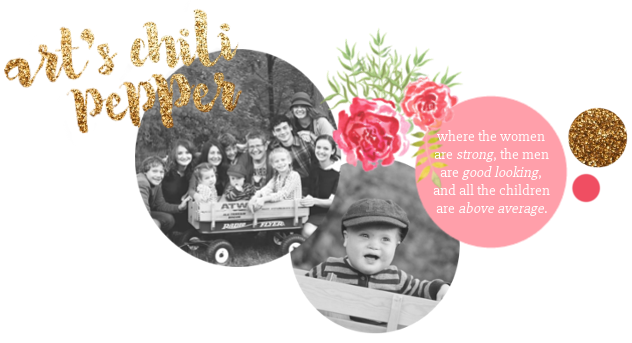 I think blogging helps us not miss any little simple detail in our lives because in those simple things, we have so much treasures that we find and we can blog about. God bless you and looking forward to coming back here. It's a wild and crazy Not Me Monday at your house. I had to laugh about the boys walking around sort of looking for underwear, but not really caring whether they found any or not. It really is so funny how just normal happenings can be turned into a blog post. I find myself taking to my husband, my kids, my friends, and even when I speak publicly about the people and posts that I read regularly. I literally feel as if I learn so much and have to share it with my real life. I thought it was hilarious that you said to your husband if he had read your blog he would have known something about your lives that we already know because we read them. I ask my husband many times if he had the chance to read my blog that day.